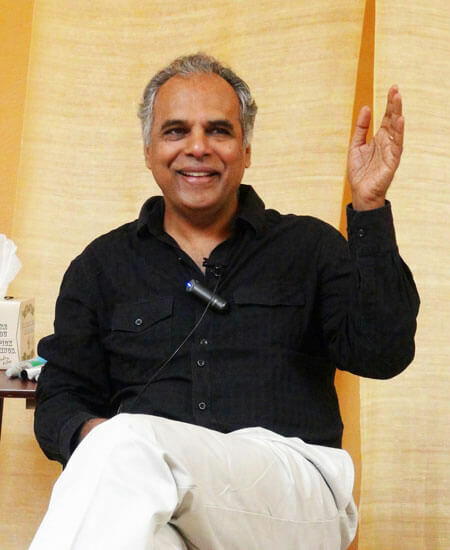 The following is an edited transcript of Serge Prengel’s conversation with Raja Selvam for Somatic Perspectives on Psychotherapy. It varies substantively from the original interview. It was edited by Raja Selvam to make it more clear and informative. Published with permission from somaticperspectives.com. Serge Prengel: This is a conversation with Raja Selvam. Hi, Raja. Serge: So Raja, you have developed an approach called ISP. Do you want to tell us a little bit about that? Raja: I would be glad to Serge. ISP™ stands for Integral Somatic Psychotherapy™, and what it is about I will say briefly. I’ve been teaching for a long time different body-based approaches to psychological work, that is, how to make psychological work more effective by bringing in the body and its awareness more than is usual in mainstream psychology. Through my studies and my experience of working with people and teaching large number of clinicians in many countries, I came to a place where I realized a couple of things. One, there is a lot of scientific information on the physiology of emotions and on the process of self-regulation that has not found its way into clinical practice, information that can be used to simplify the integration of the body into any psychological practice. Two, it is not enough to address just the physical body, the only body that science recognizes as the source of all experience, the one that we leave behind in a coffin or have cremated when we die. That it is also important to address the subtle body, what cannot be measured by science or can be measured only with a great deal of effort and expense as in quantum or particle physics research. This body is called the subtle body in the East, as opposed to the gross or physical body, the body that goes into the coffin. The latter body I will refer to as the gross body or physical body in this interview. The gross body has a quantum level as all objects in the world do. The subtle body however exists only at the quantum level. It is also commonly called the energy body in the West but that terminology can be misleading as all bodies, whether gross or subtle, are all made up of energy that differ only in terms of frequency. The gross body and subtle body interact at the quantum level. I’m also trained in Eastern psychology and I find parallels in modern quantum physics to what has been discussed in Eastern psychology for a long time. Western Cranial Osteopathy also works with a subtle body. They call it the fluid body and use it to bring about higher regulation in the physical body. One difference is that while Eastern psychology claims that the subtle body can outlive the gross body and reincarnate, Cranial Osteopathy remains silent on this subject. I find it more effective to work with both these bodies simultaneously as the source of all our experiences: perceiving, thinking, feeling, remembering, acting, connecting, relating, etc. It turns out that working with the subtle body is not as difficult as is commonly assumed. But once we include the subtle body, we might as well bring in the larger collective gross and subtle bodies we are or we are part of, depending on one’s point of view, and bring in the dimension of pure consciousness, the absolute body or ground being of all the bodies we are made of, according to Eastern Psychology. In Western psychology, there are several approaches that bring the gross body into psychological work, and some approaches that bring the subtle body in as in energy psychology that is based on the notion of meridians. There are some trans-personal psychology schools that bring in collective gross and subtle bodies as significant influences in our psyche. And there are approaches that bring consciousness into psychological work. Serge: So let me maybe interrupt you for a moment because there’s a lot in there. Serge: So we’re talking about integrating or paying attention to the body as a gateway to dealing with psychological phenomena. But specifically, when you were talking about the body and made a distinction between the subtle body versus the body in everyday experience. So maybe we can stay with that a little bit more, about this quantum level subtle body. Raja: Yes, in Eastern psychology, it is not just the physical body that determines one’s experience as is assumed in science, and in Western psychology in general. There’s also the subtle body that has a lot to do with experience. That the subtle body is also believed to go from one life to the next is a moot point, nobody can really prove it to be true or not true by measuring this or that. There are those who cite very credible research on reincarnation to establish a case for it. But from a practical clinical point of view the question we need to ask is: Can it be brought under one’s awareness or otherwise worked with to help people solve their ordinary problems better? And that’s what energy psychologies have attempted to do. Other questions that arise are: What is the subtle body? Is it a body of matter? Of course it’s a body of matter, as everything is matter. It is a subtle matter, however, at the level of quantum phenomena, the subject of particle or quantum physics. When people in the East talk about chakras, meridians, gross and subtle elements and bodies, they’re really talking about their intuitive understanding of their awareness of the body in terms of Newtonian non-quantum and modern quantum level realities. They differentiate between a gross body that is made up of gross elements arrived at by combining subtle elements and a subtle body that is made up of just the subtle or quantum elements. But for our purpose, whether there are different bodies or they are just different levels of the same body is not particularly important as long as we can use these models to observe and embody new phenomena and work with them in order to make our work and the world better. Serge: So we’re not talking about having a debate on the theoretical existence of this quantum level subtle body. We are talking about having the experience, and the awareness of it, in order to use it? Raja: Exactly. That is more easily done than believed provided we know how to educate a client about these things. Raja: Yes. For example, when people are not able to be aware of the lower part of their leg from the knee down. Raja: When they’re not able to do that, they’re not able to deepen into any feeling. Conversely, we find that when people deepen into any feeling, the lower leg is more open and available to one’s awareness. And the feeling is more stable as well. There is a change in the physical body itself in terms of the tone of the musculature but also there’s a greater flow or fluidity, water-like energy or air-like energy in the legs. And that makes a great deal sense from the Eastern point of view. If we’re working with feelings and people are having a great deal of difficulty with their feelings, it makes a lot of sense to open up the legs. The flow from the heart chakra governs feelings towards self and others and the energy from it needs to also circulate through the lower legs for them to become deeper, more tolerable, and make more sense. And when we help them to do that, we find that people come more into their feelings, are better able to tolerate them, and get more relevant insight into what they feel. It is of interest to note that in the Danish body-psychotherapy system of Bodynamic Analysis, a system based on extensive empirical study of the psychological functions of different muscles in the body, the muscles of the lower legs also have to do with whether a person is able to ground in his or her feelings or remains too abstract in relation to them. Serge: How does one go about ensuring that the energy goes into the legs? Raja: In order to do that, we can work with the physical body, the musculature there, the ligaments there, and the bones there with simple movements that almost any clinician can help their clients to do. Awareness of the flow of energy in the legs the qualities of which can be that of water or air can be helpful. Awareness of something in general helps to support it further. It doesn’t have to be the truth, whether there’s something called subtle body or energy and so on, it really does not matter. What matters is that when people are willing to track and support these things, they seem to get much better, and faster. Serge: So, again, slow this down a little bit. What I’m hearing, what I’m understanding is, one effect of paying attention to this subtle body is going to be actually noticeable, for instance, in the way emotions, feelings, flow better. But we get to it through paying attention through the physicality of the body. So, in some way, an outside observer could see what you are doing as paying attention to the physicality of the body and something happens. But there appears to be something more to it than simply that. What you’re doing is not just paying attention to the physical body, but acting on the subtle body in some way through that. Raja: Well, yes, and the answer to your insightful question is a bit complicated. In Eastern psychology, the subtle body is ultimately the source of all experience and regulation in the gross body. By that logic, if we are working with the gross body and bringing about a change in it, we must be working with and making a change in the subtle body at the same time. Awareness is free to be more identified or less identified with each body that constitutes our existence as it is the ground being of all of our bodies. There are people who work with their awareness of the subtle body to bring about a change in the gross body. But because we tend to be more identified with our physical body called the gross body in the East, it makes more sense to work with our awareness of it to start with. But at some point it also becomes important to be aware of our subtle body movements and work with them to gather the benefits that can bring. Some argue that the ability to track and work with the subtle body can bring about greater and faster changes than tracking and working with the physical body. The qualities of the subtle body are different than those of the physical body. And unless we also look for those qualities, we end up staying tracking just the gross body sensations through the brain. However, we need to note that as long as there is life in the gross body, it is almost impossible for most people to clearly separate the awareness of the subtle body from one’s awareness of the physical body except in rare experiences such as near death or out of body experiences. Raja: Indeed. To go further, feelings, for example, are often the most important things that we work with in psychotherapy. The conventional wisdom in psychology is that almost all of the pathologies derive from the inability to feel and tolerate certain states that are often affective in nature. Affect states are complex sensations in what we call the physical body and the East calls the gross body; and complex energy states at the level of the subtle body. And the interaction of the two is what brings about a feeling or affect. It is a complex multi-level and interactive experience involving at least two bodies. When people try to regulate affect states through awareness strategies that track sensations only at the gross body level, they often miss the forest for the trees. That is one of the weakness of the sensation tracking approaches, as valuable each one is for specific purposes. We have to increase our ability to track more and more systems or bodies and their interactions simultaneously and more and more complex experiences without breaking them down into micro sensations or energies in order to track and regulate our psychological experiences more meaningfully. Serge: Right, right, so when you are focused on tracking sensation, what could happen is you end up missing the forest for the trees. So, how is it, in practice, in a session, how is it that you can actually manage to track the flow of experience that’s more complex? Raja: The ability to track individual sensation is an important step. It’s like learning the alphabet of the language of the body. For example, heat or cold, and constriction or expansion in certain areas of the body. Just sensing such simple sensations can establish a better feedback loop between the brain and the body through the afferent and efferent pathways of the autonomic and somatic nervous systems that in turn increases the brain’s ability to regulate the body better. That can also help to regulate emotional experiences. For example, feeling sadness or fear and at the same time noticing where these feelings are located in the body and the sensations that accompany them can help in regulating those emotional experiences and the body at the same time. When we are able to sense different parts of the body in detail as sensations, it gives us the possibility to generate, sense, and regulate more complex phenomena of emotions such as love and disappointment. But people habituated to sensing body sensations in all kinds of situations can find themselves a hostage to a brain that indiscriminately tracks micro sensations or movements due to habituation. So for this reason, I don’t even ask people what they are sensing for the simple reason that if they are used to sensing the body all the time, they go back sensing heat or cold, and constriction or expansion, tingling, etc. I first go for the psychological experience, the forest if you will. I am looking for a meaningful psychological experience. I am exploring what feeling states that could be reasonably expected, if they don’t already show them in their faces or report them in their awareness. Then I have them sense those feeling or other states in the body, where they are, how they are, without asking them for specific sensations. To be clear, different sensation and movement tracking approaches such as Vipasana, Focusing, Continuum, or Authentic Movement are wonderful systems that offer many benefits. That is why they continue to remain popular and relevant. But discrimination has to be exercised in their use for psychological or even physiological regulation, on the basis of an understanding of their advantages and disadvantages, their strengths and weaknesses. Raja: And the more intense the feeling, we know that from the work of the molecular scientist Candace Pert, who almost won the Nobel prize for her discovery of the opiate receptors in the brain, that an emotional experience cascades through or impacts all the cells in the body in a matter of seconds. The more intense the experience it is, the more it affects the whole organism. In therapy, people often report feelings in the heart and above the diaphragm and the express it through the head, neck, and face areas. So very often, the experience as well as expression of an emotion gets stuck above the diaphragm. And one way to work with the feeling state, to generate it, sense it more fully, and even tolerate it, is to open the whole body to the experience as much as possible through awareness, movement, breath, or self-touch in different directions. And when we do that, we have a fuller experience of the feeling, a greater ability to tolerate it, and even a more coherent sense of its meaning. Often, if they don’t expand below the diaphragm, it’s very hard to get into the unconscious roots of their feelings. The second chakra in Eastern psychology is associated with the element water and is the gateway to the unconscious as well as creativity. Very often, when people are just sensing the heart area above the diaphragm in association with emotions, they have a great deal of difficulty with them because their energy is confined to narrow areas in their gross and subtle bodies without their heart chakra energy circulating through the areas below the diaphragm. In addition, the lack of connection to the second chakra energy in the pelvic area and its circulation through the lower areas of the body prevents the feelings from becoming fuller and their unconscious origins from becoming clearer, as well as preventing creative solutions for their resolution less apparent. People end up with a process that bounces back and forth between the brain and the upper part of the body above the diaphragm, a prolonged process of many associations that does not really go deep into the relevant feelings and the patterns and reasons that underlie them. Serge: All of this is very interesting but I’m again going to slow it down a little bit to revisit what you were talking about earlier to clarify something. What I heard was that you did not start with sensations but actually with something that is more encompassing like a feeling? Raja: The psychological experience and where it is in the body or how the body is affected by it. Experiences such as a feeling or impulse to do or not do something. Raja: And where it is not and why it is not there in the body. Serge: As opposed to starting from the sensation because that could lead to missing the forest for the trees? Raja: Yes, it could lead to that, especially in people who are especially good at tracking sensations and get lost in them without making larger and more psychologically meaningful experiences of them. Now it is possible that when people start with sensing the body through discrete sensations, this might set up a feedback loop between the brain and the body to allow for the expansion in the physical and subtle bodies for the experiences that were held back to come forth or be generated in the first place. But there is no guarantee that this would happen. It depends on whether the person on his or her own or with the help of others can generate meaningful experiences and interpret them as such. And a person’s ability to do that on their own depends very much on whether they have had support of others to generate experiences and make sense of them in the past. If they cannot do that and if they are good at tracking body sensations and body and energy movements, such a process might just regulate the bodies back to a quieter place or a habituated equilibrium without any significant psychological transformation or benefit to show for it. Raja: I’ll give you an example. I’ve had clients who’ve done years of tracking sensations come to me with anxiety symptoms. If anxiety is based on fear or fear of something that is not grounded in current reality, the person needs to feel it as much as possible and tolerate it and hold it till it diminishes without getting attached to something else as cause on the outside in the person’s current life. The fear will be accessible and manageable to the extent to which the person feels supported by you to feel it and to the extent to which the gross and subtle bodies can be expanded to accommodate it. But as soon as they had a sense of where the fear is in the body from my prompting, they quickly habitually diverted their awareness towards tracking sensations such as tingling, warmth, and so on, going away from the psychological situation and the feelings that are really complex arrays of sensations across multiple systems of the body. This way, they did not track and develop a capacity for more complex experiences in the body. They had just learned to dissipate meaningful experiences by tracking micro sensations and movements. So, over time, I learned not to ask people to track sensations in the trainings that I do except for opening or accessing the body to track more meaningful experiences in it. For the ISP trainings that I do I require that the applicants are experienced clinicians who have been working psychologically for a long time. I also require that they have adequate knowledge of the body, through Somatic Experiencing® (SE™), Sensorimotor Psychotherapy®, Bioenergetics or some bodywork or body sensing training or practice so that they already know their bodies well, so that it is not unfamiliar for them to sense their body sensations if not in all parts of the body, at least in some. Raja: For a concrete example, let us take the experience of grief. I will say: Where is the grief in the body? And where is it not? Why don’t you put your hand on the place where you say it is very difficult for you to tolerate it or where it is not present so that you can open or connect that part of the body to your experience? If it is not below the diaphragm, let us see how we can open the diaphragm to allow the lower part of the body to join the experience. Why don’t you move your neck so that the grief can also come into your face? And then move your arms or bring your arms also into your awareness so that they can join the experience as well. Why don’t you place one hand on your heart and the other on your kidney or move your lower leg so that the energy from the heart chakra can more easily flow through your body to make your experience of grief more full but also more tolerable. This way, I get people to track their body in relation to their experience meaningfully and not just track sensations in isolation and without purpose. I also am at the same time guiding the expansion of the physical body in directions that make sense in terms of increasing self-regulation in the physical body and increasing the availability of the subtle body energies. Serge: So you are talking about the experience as a whole and from there, stoking the curiosity about where it is, where it’s not, and that’s how the tracking takes place within the context. Raja: Yes. And then, one needs to know how to help clients track and work with their bodies in such a way that their gross and subtle bodies are as open and as related to each other as possible to support the unfolding experience that originates in a specific location. The gross physical body consists of layers that can shut down in an overwhelming experience. Muscles, organs, and central nervous system tissue can all constrict during a difficult experience. One needs to know how to guide clients to open the different layers of the physical body and how to facilitate the exchanges among its different layers, in order to minimize dysregulation and at the same time support a dysregulating experience such as fear. In addition, one needs to know how to help clients become aware of and work with different layers of the subtle body in relation to each other. And how to ensure that the subtle body energies are interacting with the gross body as much as possible. According to Polarity Therapy, different zones of the physical body when constricted can prevent the flow of energy from different elements of the subtle body from different chakras from moving through the physical body towards fuller manifestation of necessary life experiences. For example, the heart chakra energy will not flow through the body if the large intestine, kidney, and lower leg areas are blocked in some way. So, when we work with grief that is overwhelming the chest area, we do a number of things with the layers of the physical body itself. We work with the chest area with awareness, self-touch, and possibly with breath to keep the area open for the experience and to minimize the dysregulation there. We work with the arms and the face and neck areas with awareness, movement or self-touch to expand the experience into these areas as well as to minimize the dysregulation or excess load in the chest area. This is possible because when the adjacent areas of chest, head, and arms are more open and better connected through increased cardio-vascular and nervous system flows, not only is the physical body less dysregulated but is in a better position to generate, share, and tolerate a painful experience such as grief. We also work with awareness, movement, or self-touch with large intestine, kidney, and lower leg areas that can block the subtle body energy from the heart chakra from flowing through the gross physical body. When we do that, we find that people are more capable of deepening into their feelings such as grief. They also remain better regulated physically and emotionally. Eastern psychology, on which Polarity Therapy is also based, theorizes that the subtle body is ultimately the source of physiological and psychological experience and regulation. Therefore, these benefits are predictable from that point of view. Western psychology on the other hand theorizes that the brain is the source of all psychological and physiological experience and regulation and thereby misses an important source of experience and regulation upstream in the psyche of human beings. What I am doing in the Integral Somatic Psychotherapy or ISP approach is to bring the benefits of both perspectives to maximize treatment effectiveness. When we open the body and pay attention to the psychological experience in it, the experience can be intense. But can we open it in such a way that it is better regulated, or less dysregulated during unpleasant experiences, in such a way that the layers of the physical body including the brain are more open, regulated, and in communication with each other. We can open the layers of the subtle body in such a way that they are flowing, in better balance with each other, and in greater interaction with the physical body. So there’s theory and logic to the directions in which we expand the physical body during psychological work. If we go about this wisely, using scientific findings on self-regulation and physiological bases of experience in working with the physical or gross body, and Eastern psychology to work with the subtle body, the difficult experience can be paradoxically less difficult to process. This reduces the conscious and unconscious resistance we all have towards unpleasant experiences. We can move through difficult experiences and resolve them as and when they happen without being stuck in the past guarding against their reemergence and suffering from psycho-somatic or psycho-physiologic symptoms such as chronic fatigue or fibromyalgia, among other things. The ISP trainings emphasize personal experience because people already familiar with the body have to unlearn familiar and habituated ways of tracking and working with their bodies to really learn the difference. In a recent training, three trainees with long-term symptoms of fibromyalgia reported remarkable resolution in their symptoms when they worked with psychological regulation of a difficult experience while attending to gross body and subtle body availability and regulation at the same time. Of course, we have to see whether they can remain symptom free in the long run to claim it as a valid outcome. But what happened during that class was a hopeful sign. But I hear about remarkable resolution of long-term symptoms such as migraines and asthma even after a single session that I am no longer surprised to hear them. Psychological regulation, gross body regulation, and subtle body regulation are the three pillars of Integral Somatic Psychotherapy (ISP). When they are done simultaneously in relation to each other, such results are indeed possible, in my experience. Serge: So, Raja, what you’re talking about is how the energy can get stuck, and how that in turn can inhibit psychological as well as physiological process. You are talking about how to work with the energy to make it flow again, and how this flow actually allows for the process of psychological as well as physiological regulation to take place. And that in order to do this well, you have to have a road map of where the various circuits are, and the directions and places into which the energy needs to flow, and what to do in order to facilitate these flows. Raja: Yes, exactly. And at the same time what to do in the physical body itself to maximize physiological and psychological regulation, with the guidance of scientific findings from the fields of neurophysiology of self-regulation and the physiology of emotions, relationships, and other psychological experiences. And the methodology has to be simple enough. Otherwise, psychotherapists with different disciplines cannot quite get it easily. And it has to be presented in such a way that it’s not hard for them to integrate it into the different frames and orientations with which they do therapy. Raja: So that experienced clinicians with different orientations can use this approach in their practice to make it more embodied. To repeat, we are not just talking about the use of the subtle body to make the work better. We are also talking about working with the subtle body in connection to the physical body, and working with the physical body itself. The more we can facilitate back and forth nervous system flows in the autonomic nervous system so that the information from the area served by the autonomic nervous system – organs, glands, and blood vessels – gets to the brain and the information from brain gets to these areas so that the brain can not only regulate these areas better but also use these areas to generate and regulate psychological experiences better. And the more we can facilitate afferent and efferent flows along somatic nervous system pathways, the better is the brain’s ability to regulate the muscles and to use them to generate and regulate psychological experiences. So how do we do that in the physical body itself across the three layers of the physical body we simplified and used with great effectiveness to help Indian survivors of the 2004 Tsunami. We have published these findings in Traumatology in 2008, a referred trauma journal. Raja: We now have a multi-year project in Sri Lanka. We are involved in training a hundred and sixty counselors in the former war zone in Northern Sri Lanka for treating symptoms of post- traumatic stress disorder from the traumas of war, loss, violence, and dislocation. The thirty-year civil war there just ended a few years ago. We’re using simple road maps there, not necessarily to work with the subtle body, but more with the physical body – how to open the different layers of the physiology and how to facilitate cardio-vascular and nervous system flows across the body’s different layers as we work with the terrible experiences they have gone through. What we are finding is that it helps them to bring those terrible experiences up, tolerate them, and work with them better than in any of the approaches to counseling they have learned so far. Serge: Yes, so restoring the regulation of the flows across the layers of the physical body is a gateway that you use. Raja: Yes. That is one gateway, if you will. That sits better with the scientifically trained Western psychotherapists. But we also use the individual subtle body and the collective gross and subtle bodies that also make up an individual, either directly or indirectly, in helping people. I’ll give you an example or two to ground these ideas. Raja: After the 2004 tsunami, a 10-year old boy came to us when we were wrapping up our work in a South Indian village. He took a hand of one of our therapists and put her hand on his chest and said, “Tsunami, thump, thump, thump.” He experienced heart palpitations and anxiety whenever he thought of the tsunami or someone or something reminded him of it. He clearly showed a lot of fear when he talked about it. We gave him a short treatment and taught him what he could do to help himself the next time he had these symptoms. This is how it more or less went. It was quite simple, the whole thing. We said, “Yeah, a tsunami is very scary thing and the body can get charged like when you are running at high speed and the body can get hard to handle all that fear and charge in the body. The body tries to narrow down that experience into as small a space as possible and put a lid on it. This way, the fear and the charge can all get stuck in the chest that is now hard. So much fear and charge that was there throughout the body getting stuck in a small area of the chest can overwhelm that area and produce difficulties such as anxiety, breathing difficulty, and irregular heartbeat. We then taught him how not to go away from the fear and the charge but find a way to make a bigger space for them so that the body doesn’t constrict and harden and hold all that fear and charge in the chest leading to his heart to go pitter-patter. We had him interviewed four weeks later and then again six months later and he was doing fine. He said that he had not had the symptoms since and he was able to manage his fear from becoming too much. I hope that this example gave you an idea of what it might look like in a simple case. And if we were to look at this simple example in terms of the principles we discussed earlier, we can see the work with the physical body in how we expanded the chest and arm areas and made them more functional; and increased cardio-vascular and nervous system flows between them across the three layers of the physiology, of muscle, organ, and nervous system, through awareness, touch, and movement. That also made it possible for the difficult experiences of fear and anxiety to be generated, held, and tolerated in a larger area of the physiology and not stress the narrow area of the heart towards the dysregulation of irregular heartbeat. We also see the indirect work with the subtle body at work in this example as well. For the heart chakra energy to flow more fully and be contained, the area of the rib cage from the shoulder to the diaphragm as well as the area of the upper arm from the shoulder to the elbow need to be open and connected to each other. That can be seen as a possibility in the interventions used in the session. Serge: That’s a beautiful, beautiful example and in a way, what I’d like to do with you right now is do an instant replay as if we had a video of it. Since we don’t have a video and we can’t have a commentary on the video, I’m going to suggest to people that as they’re listening to this interview, they can replay it a little bit at a time and then pay attention to the various layers that you’re talking about. They can also then try to apply it to a difficult experience of their own. You know there is something to work with where the underlying sense is “Yes, this experience is really overwhelming.” They can then learn that there is a way to deal with it and similar experiences by actually putting them in a larger container so that they can be digested. Raja: Yes, that is a great idea. But they need to make sure that they take something small to begin with and not the worst experience of their life to test it with. Also, they need to remember that there has to be willingness to suffer a bit in the short run in order not to suffer unnecessarily from symptoms in the long run; and that it is always easier to process a difficult experience with the support of others than on one’s own. In fact, we cannot process certain experiences through without the support of others. One of the important tools taught in the ISP training is the use of inter-personal resonance. We are all designed to sense and regulate each other, body to body, through the frequencies of the electro-magnetic spectrum in the physical body and higher energy frequencies of the subtle bodies. This can be used effectively to support clients in a session. One of the tragedies of a psychological practice that does not include physical and subtle body awareness is the under-utilization of this extra-ordinary tool. This again is not hard to do. But it needs a change in a mindset in Western psychology. As Robert Stolorow, a brilliant inter-subjective psychoanalyst, noted much of Western psychology is lost in the paradigm of thinking of the individual psyche as an isolated one with hard boundaries, that functions like a robot using its sensors for perception and its CPU (central processing unit) for inference and all other experiences. Such inter-personal resonance is often the primary experience in attachment and other relationship experiences. Therefore it is hard for me to imagine working with attachment and other relationship experiences without being aware of the inter-personal resonance dimension of such experiences through our physical and subtle bodies. Serge: Fascinating! Going back to the example, I am still sitting with it, the other part of it I found noteworthy is that, instead of just paying attention to the client, you’re actually asking the little kid to move his arm and observe something. And you are doing that in a simple way and suggesting that it can be carried through. I’d like to invite you to maybe briefly restate this example so we can hear it again to see the many layers that are involved. Raja: Yes, educating the client is an important part of the approach. People are not body oriented. For that matter, most therapists are not either. Their understanding of the role of the body in psychological experience and the ways in which the body can be worked with in the context of psychological processing is limited. Therefore, it is important to educate clients about why the body is important, how to work with it, and what benefits can be expected in as simple a manner as possible for the client to be motivated and for session to go well. Can I give you another more complex example instead of repeating the earlier one? I will then discuss it in terms of the underlying principles at work. Raja: A young woman in the Netherlands came to see me when I was doing a training there. She had suffered from panic attacks from the age of seven. When she was young, she would hear a voice from her abdomen tell her that it was time for her to die before the onset of a panic attack. She was so scared that she wouldn’t even tell her parents. She was the only child and it was not until she was ten that she told her parents about it. When she finally did, the parents went all out to get the best help they could get her, medical doctors, psychiatrists, and psychologists. When she came to see me, she was 21 years old. She was on multiple medications. She had had two analyses by psychoanalysts. She was still having panic attacks. She slept a lot, dropped out of college, took a low-paying job, lived at home, and could not bear to have her parents leave her alone at home. She was depressed and had no hope that anything could change. From her known history, her uncle was assisting me in the training I was teaching there, we immediately formulated a hypothesis that this abdominal location might have to do with the two post-natal surgeries she had to have as soon as she was born for some defect in her digestive tract. It turned out that a psychoanalyst had made that interpretation earlier. She told me right away that she did not want to get back to any psychotherapy. I said to her that I could teach her how to prevent her stress level from reaching a threshold that triggered the panic attack. She appeared to be open to that. I said to her that when we have difficult physiological experiences or psychological experiences such as unpleasant emotions or thoughts our body gets stressed. The body then constricts to manage the stress. If the difficult physiological or psychological experience continues, pressure builds especially if the stress from the difficult experience is constricted into a narrow part of the body. The solution is to find a way to expand the body and spread the difficult physiological or psychological experience or the stress from it so that it becomes more tolerable and does not trigger a symptom like a panic attack. I then had her talk about something that made her feel bad often in her life. She mentioned her interactions with her boss at work. I had her notice where the body started to feel the stress and constriction around it. It was no surprise that she pointed to her abdomen. Each person has one or two places in the body where such things often show up, no matter the source or cause. I had her put a hand on it to ease the unpleasantness and constriction there and had her follow where the stress spread. It went lower into her abdomen but had difficulty moving further down. I had her move her legs by moving her feet and her ankles and observe what happened next. There were initially tingling sensations in the lower legs and then eventually more flowing feeling into the legs. At the same time, there was a greater ease in the abdomen and as a consequence greater ease in her breath in her chest. Surprisingly there was no fear. But then, we did not mirror that right away. I told her to do the exercise every time she got stressed for a week and come back and see me at the end of the training I had just started to do there. I said to her that she needed to do the same exercise if fear or anxiety came up in her life or when she was doing this exercise. When she came back a week later, she not only appeared hopeful but said that she felt understood in that one session more than she had been understood in all her therapy sessions. But what she said next really surprised us. She said that she has had severe constipation all her life, with one bowel movement a week with great difficulty the norm. She said that ever since she started doing the exercise we had prescribed her, her constipation symptom disappeared altogether. She wanted to impress on us what a relief it has been. And she was ready to continue the work. Phrases such as ‘transference cure’ and ‘extremely positive transference’ did cross my mind. But then, I have seen such quick resolutions of symptoms before from the body’s ability to regulate itself once shown the way, especially when the subtle body starts to flow and interact more with it. Regardless, I had learned enough by then not to take such short-term changes, however miraculous, as indicators of success. The symptom has to go in the long run for it to be considered a meaningful outcome. So we went about the second treatment. The fear showed up right away. It turned into terror and was overwhelming in her chest bordering panic. If we had just sat there validating her experience, she would have decompensated and had a panic attack. But we knew what to do. She knew it too from her experience all week that it needed to be spread in different directions. We asked her to move her arms and shoulders to expand in that direction. We had her move her neck, head, and face and bring the fear into the face. We had her say that she was afraid first, and then that her body and brain were afraid, but she was not, in order to bring a measure of mindfulness to the experience. We had her put a hand on her heart to regulate it. It was a wild ride. Hard work. But she managed to hang in there and work with high levels of arousal and terror that are the usual suspects in a panic attack and come through without having an actual panic attack. I told her at the end of the session that she needed to continue to do what we did to the extent possible as an exercise whenever she was stressed, afraid, or panicked. And contact her uncle to update him about her progress and contact a local psychotherapist trained by us if she could not handle what she was going through. She did not appear to like the last suggestion. I left the country the day after. I heard from her uncle six weeks later that she was doing great. She had not had a single panic attack since. She was able to come back from panic attacks without having one through what she had learned to do with us. I was relieved. The next time I saw her was once during the next training I did in the Netherlands six months later. There was nothing dramatic about that session, it was more of the same as the first and second sessions with the exception that her process was much more expansive and much less volatile. She appeared to also have a greater ability to differentiate her inner experiences and name them. I interpreted her fear as possibly having to do with her fear of dying before, during, and after her medical procedures immediately after her birth. I also suggested that her fear of dying might also be connected to a high level of anxiety in her mother who in turn might have inherited it from her parents with direct World War II history. What I forgot to tell you earlier is that she was already going off her multiple medications in a phased manner with her psychiatrist who wanted to know exactly what exercise she had been taught that had led to such a remarkable reduction in her symptoms. She had not only quit her old job for a new one but also had found a new boyfriend. She was not sleeping as much and was jogging with her father. And she was getting angry and assertive with everyone in the family, her uncle reported later, delighted that she could do that now. The last session I did with her was on the phone six months later. Her favorite grandfather had died and she was having a difficult time coping with it. When we talked I mirrored her deep grief and suggested that she could do work with the grief and hold it in the same way she knows how to work with her stress, fear, and anxiety. She was off all her medications by then. At the end of the session, she said that she was puzzled and bothered by something. She kept getting more and more energized, the more she did the exercise. The more she tried to spread the energy and even get rid of it through movement, the more it persisted. I then realized that her organism was being animated by the life force, not having to hold it back to avoid triggering unpleasant and even dangerous symptoms in her body. I said to her that she needed to start to use that life energy constructively to expand her life. She said that she had been actually thinking about going back to university part-time to finish her degree. I recommended that she do that, even cheekily suggesting that she might get her symptoms back if she did not! From the last update I have of her from her uncle, she has completed her degree, is living in her own apartment in the city, and was on a motorcycle trip through Asia with her boyfriend. I must say that I felt like a proud parent, glad to have played a small role in her journey. The real players were her determination to change her life and face and endure what she needed to feel so that she could heal, the ability of her physical body to regulate itself with minimal help, and the ability of her subtle body to not only to contribute to her physiological and psychological regulation with minimal help, but also benefit from connecting to the collective gross and subtle bodies with their immense wisdom for regulation of life itself. Serge: It is a more complex case than the first one. Raja: Yes, let us now look at this case in terms of some of the basic principles we have talked about before, Serge. Raja: In the first session, when we expanded the constriction in the abdomen with self-touch and moved the legs, the feet and ankles in particular, in order to have them join what was happening in the abdomen and then support what was happening in both places with awareness, we were helping to increase self-regulation in these areas across the three layers of the physical body, muscle, organ, and nervous system. We were also helping the difficult experience in the abdomen to be generated, spread, and held in a larger area of the physiology than before, making it more tolerable, as would be expected from the available evidence from the research on the physiology of emotions. We were also helping to open up the zones in the physical body that, according to Polarity Therapy, can inhibit the flow of subtle body energies through the chakras into the physical body. The lower legs below the knee to the ankle can inhibit the flow of the heart chakra energy that has to do with feelings about self and others. The area from the ankle to the feet can inhibit the flow of the second chakra energy that makes more possible rejuvenation and creativity as well as access to unconscious feelings and their origins. In a way, that might in part explain the deep level of terror that surfaced in the second session after a week of her exercising to keep the area of ankle and feet open. In the second session, when we helped to expand the arms and neck and head areas with movement and the chest area with self-touch and support the terror and other sensations such as tingling in those areas, we were again helping the physical body increase its ability to self- regulate through increasing cardio-vascular and nervous system flows within and across the three layers of the physical body as suggested by insights from the physiology of self-regulation. We were also helping to create a greater space in the physiology to generate, hold, and tolerate the difficult experiences of terror, stress, and anxiety as suggested by insights from the physiology of emotions. Greater opening of the chest area through self-touch and awareness and movement of the arms especially the shoulders expanded an area that is critical for the flow of energy from the heart as well as the second or sacral chakras, two chakras most connected with deepening into conscious as well as unconscious feelings, which in this case were terror, stress, and anxiety. The movement of the arms, an area critical to the flow of energy from the throat chakra into the body in Polarity Therapy, could have helped to increase the flow of energy from the throat chakra. The greater flow of the element ether associated with the throat chakra can create greater space in the physiology in general and for all the feelings in particular making it possible for the feelings involved in the session to flow more easily. The movement of the neck area, an important zone for the root chakra that governs existential issues such as the fear of dying might have made it more possible for the core affect of the terror of dying driving her symptom to become more conscious. The movement of the neck could have also helped her connect the facial affect system to the visceral affect system according to an older psychoanalytic affect theory insight. An important aspect of the second session is the development of her capacity to experience high levels of arousal and terror without ending up in a panic attack or further shutdown of the physical and subtle bodies. In state dependence theory, a symptom formed in certain states of intensity has to be renegotiated in the neighborhood of the same level of intensity for the resolution of the symptom. This might explain her ability to not have another panic attack after this session and come back from their onset without a full-blown attack. When the physical and subtle bodies are no longer as shut down from coping with an unbearable experience, they are more open to relating to and benefiting from the collective gross and subtle bodies all around us and of which we are a part, according to Eastern psychology. Her increased capacity to have more functional relationships at work, home, and in personal life, to engage a higher institution of learning with greater functionality, and the life force pouring through her that she was mystified by, all speak to an improvement in the ability in her individual gross and subtle bodies to connect to and benefit from the collective gross and subtle bodies that have greater wisdom than the individual gross and subtle bodies. It could be said that she was doing Reiki on herself when she was able to connect her individual subtle body to the collective subtle body of the universal life force of immense intelligence. The remarkable changes witnessed in her cannot be explained otherwise. For the sake of completion, it is important to note that the psychological work that she had done in her two previous analyses I am sure had a great deal to do with her remarkable recovery. But they in themselves did not resolve the symptoms. This points out to the efficiency that can be brought to psychoanalytic treatments if they were to integrate the individual gross and subtle bodies into their work. Raja: Most non body-oriented therapeutic approaches get into a pattern of what I call therapy above the diaphragm. The experiences, as they emerge in the chest area, are immediately set upon cognitively for understanding them. There is nothing wrong with it per se as understanding is just as an important part of healing an experience, as it is to feel it deeply. However, when understanding dominates a process, the capacity for the experience is diminished. The experience continues to be difficult and somehow hard to leave behind. Associations and meanings grow. And very soon, we are in a Woody Allen movie. Such processes lack the understanding that the more intense an experience is in the physical body, more of the body needs to be involved in generating and holding it. And the understanding that comes from a deeply felt experience is more likely to be relevant to the situation. And with the physiology less dysregulated during a difficult experience and more of it holding the experience, it becomes possible to tolerate it better while we examine it for insight or further action. When we approach it from the subtle body point of view, most of the chakras that have to do with deep existential and unconscious processes are below the diaphragm. And most of the important zones that govern the flow of energies from the throat and heart chakras are also below the diaphragm. So, the above diaphragm processes tend to have a higher likelihood of remaining superficial and incomplete, not go deep, and cycle in associations and meanings of the particular theoretical orientation used in that clinical setting. Not that these processes cannot bring about change. They do. Otherwise, they will not have been around for a long time. But this also raises the likelihood of critiques such as Hillman’s who once famously asked what we had to show for the history of one hundred years of psychotherapy. Serge, think of the possibilities if all the approaches started to embody the different bodies that make up a human being in their practice. And they do not even have to change the theoretical orientations they work with to do it. Nor is it that difficult to do as can be seen from the examples discussed above. Serge: There’s a depth with which you are talking about things. But there is also a practicality with which you are approaching things. For example, in the case that you just mentioned of the woman from the Netherlands, the following things struck me. When confronted with fear, we human beings all have a tendency to tighten, to close up. It is in a way a physiological reaction but also a common tendency to avoid that experience. But you show her a simple way to actually open up so that there is flow in a way that she can feel the fear and not be paralyzed by it. Raja: You have put your finger on something that is very important, Serge. Our natural tendency to avoid an unpleasant emotion is based on the fact that they are created by dysregulating the survival physiology to a greater or lesser extent. Parts of the brain that are more interested in survival and homeostasis do not like such things and tend to resist them even shutting down the physiology to a greater or lesser extent. We can also develop layers of psychological resistance to unpleasant experiences that then show up as patterns of shutdown in physical and subtle bodies, with attendant symptoms. We can do a lot of work with the individual physical and subtle bodies, with their connection to the collective gross and subtle bodies, and in turn with their connection to the absolute body of consciousness. All of that will be to no use, just an empty ritual or regimen, if people cannot tolerate the psychological experiences that come with them, understand them, think, and act on them in such ways so as to reflect the embodiment of the different energies from different bodies that temporarily happen when we work with these bodies. That is why the capacity to tolerate opposites is at the heart of Jungian psychology’s individuation model and Advaita Vedanta’s enlightenment model that offers even a greater possibility for the growth of the human psyche. By the way, the capacity to tolerate opposites does not only refer to the passive experience of feeling and tolerating emotional states, it also refers to a capacity for being able to tolerate having opposite cognitions and doing opposite things in the world or at least being able to tolerate imagining having opposite cognitions and carrying out opposite actions in the world. This wisdom has been there in psychoanalysis all along in the concept of affect tolerance. The inter-subjective psychoanalyst Robert Stolorow put it very succinctly when he once said to me that the only thing we can give our clients is affect tolerance. Unfortunately the whole field of psychology is going away from it. The emphasis has shifted towards getting rid of affects, discharging energies, medicating them away, and the like. This might well be founded in the failure of the field to get to the bottom of things. And that in turn might have to do with the disembodied way in which much of psychotherapy is done. But there is another way, the way of embodied processing. As we know, we cannot prevent from people from having traumas and other difficult experiences. And we cannot just fix them or make them go away. We have to experience these things, but in a wise way, using the whole organism to generate, sense, regulate, and tolerate an overwhelming experience. Then people learn that they can live through them and are intuitively not afraid of life and the difficult experiences it always brings, sooner or later, if Buddha is to be believed. I believe a great deal in educating people, about how their physical and subtle bodies are related to their psychological experiences and how to relate to them and work with them during overwhelming positive as well as negative life experiences, in as simple a manner as possible. I have two PhDs. My first PhD is in business with a specialization in marketing. My second PhD is in clinical psychology. I know that unless a system or approach is simple to understand, easy to use, and easy to integrate into other systems in existence, it will not be widely adopted, nor will it go far. The earliest body psychotherapy systems provide a case in point. For the non-body oriented psychotherapists, these systems demanded that they learn a whole new theoretical orientation as character structures and adopt interventions such as take your top off and bend over backward over that wooden block. These interventions seemed too outlandish and too risky that these approaches never got off the ground, became confined to small groups of professionals who got together from time to time in their own conferences lamenting how disembodied the mainstream continued to be. No doubt that the lack of embodiment in mainstream psychology has multiple historical reasons but body-oriented psychotherapies not offering user-friendly approaches for embodiment has been an important reason, in my view. If we see how successful body sensing based mindfulness meditation approaches have been in mainstream psychology of late, this becomes clear. If the psychoanalysts, when they are working with difficult experiences such as feelings within whatever theoretical framework they are working in, understand how those difficult experiences arise in the physical and subtle bodies, how these bodies can shut down if there is insufficient inner or outer support for those experiences, and how to expand the physical and subtle bodies to generate, access, and tolerate those experiences with simple tools such as awareness, self-touch, and movement, it would be easier for them to get embodied, without either having to give up their primary theoretical orientation or doing anything out of the ordinary. Serge: Mhm, Mhm. So that’s the missing link that can make it possible. Raja: And it’s really not that hard to do, it turns out. It has been my experience with treating people and training people in as many as 16 countries in the past 20 years. That has also been my experience among tsunami survivors in India and survivors of civil war in Sri Lanka. It gives me confidence that it is actually doable. And in terms of bringing in the subtle body, it is very exciting because quantum physics is showing the way even though it hasn’t quite caught on in psychology, even as a deeper level of the physical body. We don’t quite know how to study even the quantum level of the physical body in psychology because we can only observe from brain scans the behavior of neurons that are definitely not at the sub-atomic level. In quantum physics research at CERN in Europe, atomic and sub-atomic particles are make to collide against each other or against barriers at velocities close to the speed of light in underground tunnels called super-conducting super-colliders to study finer sub-atomic particles that show up for micro- seconds as blips on computer screens! Therefore, it is not clear how we would go about establishing the existence of such things in our physical bodies and as our subtle bodies except through inference from such research. However, what we know from Eastern psychology is that awareness, even though it could appear limited and appear as a function of the brain, or of the subtle body to those it is a reality, is super-ordinate to all levels of our existence. As long as psychology continues to believe that our awareness is a function of the physical brain at the level of the gross body, there is a problem. Fortunately, psychology also has the tradition of valuing and working with subjective experience no matter its source; and holding models of the psyche simply as models of the psyche and assessing psychological approaches more on the outcomes from their interventions rather than on the truth or lack of truth of the model underlying the interventions. So as long as we know how to bring into one’s awareness or otherwise work with the phenomena that are claimed to arise from a quantum level body, this again is not as difficult as it is commonly believed, and have outcomes to show for it, it does not really matter whether we are working with the quantum level of the physical body or a quite another quantum level body called the subtle body or just phenomena of the physical body misunderstood and mislabeled, as some would claim. What I am saying to the real non-believers is that if unusual phenomena can be brought into the awareness of people and working with them really helps them, it does not matter whether the underlying model is a myth or metaphor. As long as it helps, I think that we should seriously consider adopting them, especially when we get great outcomes from them. Serge: Right, right. So in a way there is also the similarity with quantum physics. It can be looked at as something that’s incredibly theoretical and abstract. But then from time to time, there are some experiments that actually show that there is a correspondence between the theory and what happens. And, in a sense, it’s not necessarily proof that the theoretical model is the absolute truth but certainly an indication that it makes sense to use the narrative provided by the theory to work in a particular way. Raja: Yes, with a qualification, Serge. There could be other theoretical models that others have not imagined that could predict the same behavior among the observable sub-atomic particles! One further thought on the source of our awareness. Even if awareness is a function of the gross body, the hypothesis maintained by science now without any proof, it could be a function of the quantum level of the gross body. Eastern psychology says that it is neither a function of the gross or subtle body, individual or collective, it is beyond all that but at the same time it is the unchanging ground of everything. Fascinating is it not? Serge: Great. Well, Raja, that was a pleasure. Thank you. Is there anything you might want to add to conclude or does it feel like the right place to end? Raja: I think that it is a great place to end. We have gone out as far as we can! I really enjoyed the interview, and I really thank you. And hope, I hope that in the years to come, psychology and psychotherapy are more embodied, regardless of their theoretical orientation. And I hope that I can contribute my bit to that process of embodiment and consequent increase in clinical effectiveness in the treatment of ordinary problems that ordinary people come into therapy seeking help with. My goal is to continue to find or develop simpler ways for helping clinicians with diverse backgrounds to incorporate and embody our different bodies into their work. I think that it will certainly keep me busy for the rest of my life! Visit the ISP Professional Training page to learn more.